Esther 3 reveals a plot by an enemy of the Jews to destroy and annihilate the Jewish people. There have been numerous such plots since, but they all fail because God protects His people. In October 1973, the Arab states launched a surprise attack against Israel on Yom Kippur, one of the holiest days of the Jewish calendar. The Arab states were still angry about their major defeat in the Six Day War of 1967, and were trying to get revenge and regain the land that they had lost in that war. Israel was initially caught off guard, but then the nation regrouped and fought off the attack, but not before incurring heavy losses. This brief struggle convinced the Arabs that surprise attacks were needed to defeat Israel and regain the land that the Arab nations so coveted. So, they developed what is known as “the Phased Plan” which is still in effect today. It can be summarized in three points. To slowly gain land through what they term “armed struggle,” but which essentially is terrorism. To use this land as a base of operations to continue the struggle against Israel. To provoke an all-out war in which Israel’s Arab neighbors destroy it entirely. In a single phrase the goal is to obliterate Israel. Who is to carry out this plan? An organization much in the news today known as the PLO: the Palestinian Liberation Organization. Surprisingly (or maybe not), this plan to destroy the Jews is not new. I believe that Israel still has a part in God’s plan, that God has not rejected His people, and that Satan is still attempting to destroy the Israelite nation in order to thwart God’s plan. It has been Satan’s goal since the very beginning and he hasn’t given up yet. Throughout the entire Bible, one of Satan’s primary goals is to thwart the plan of God. Can God’s plan be thwarted? Well, the being who probably knows the most about God (i.e., Satan) seems to think so. But each time, God counteracts and foils the attempts of Satan. Satan was behind the fall of Adam and Eve, the death of Abel at Cain’s hand. In Genesis 6 we read of his attempt to corrupt the line of Adam through which the promised seed would come. He did this with the use of the Sons of God having children with the daughters of men, resulting in the Nephilim. When that failed because of the flood, He tried again with Abraham’s line, the chosen line, in Genesis 12, 20 and 50. Then when Israel was in Egypt, he tried to destroy the Israelites by killing all the babies. Then again when Pharaoh pursued the Israelites into the desert intent on destroying them. Then again when Israel entered the promised land, and there were giants in the land so they could not inherit it. 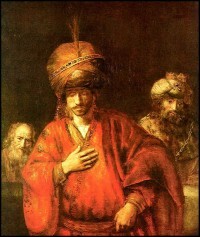 We can also think of the numerous intrigues against the kingly line of David, which include Saul trying to kill young David with his spear; when Jehoram kills his brothers, when the Arabians kill all of David’s descendants but one, when Athaliah kills all of David’s descendants but one, when Hezekiah is assaulted, when the nations are conquered and carried off into captivity and threatened by intermarrying. The infanticide by Herod in Bethlehem as an attempt to kill Jesus was an attempt by Satan to stop the Messiah from coming. Even in the crucifixion, I think that Satan thought he had won the battle. But of course, that was his greatest defeat. Nevertheless, Satan keeps on trying to keep God’s promises from coming true. This is why Satan is so intent on destroying and obliterating the people of Israel. There are many people today who say that God is done with Israel, or that He no longer has plans for Israel, that his plans and promises to them have been transferred to the church. There are many reasons why this is false, but I always wonder: “If God really is done with Israel, why is Satan still trying to destroy the people of Israel? Why does all the world turn against her so often?” The world would not treat any other nation the way they treat Israel. The contempt and hate that are directed at her, the irrational demands the world makes of her. It’s a theme in Scripture. It’s a theme in history. And we see this theme crop up again in Esther where an individual sets out to destroy the nation of Israel. I’m calling it the First PLO: not the Palestinian Liberation Organization, but the Persian Liberation Organization. It came into existence 2500 years ago, but the goals and plans were exactly the same. And this time, the plan comes not from Hamas or Hezbollah, but instead from a man named Haman. Esther 3:7. In the first month, which is the month of Nisan, in the twelfth year of King Ahasuerus, they cast Pur (that is, the lot), before Haman to determine the day and the month, until it fell on the twelfth month, which is the month of Adar. This is the twelfth year of King Xerxes reign, so Esther has been queen for about four years. The lot fell, as we see here, on the twelfth months, so about one year away. Esther 3:8. Then Haman said to King Ahasuerus, “There is a certain people scattered and dispersed among the people in all the provinces of your kingdom; their laws are different from all other people’s, and they do not keep the king’s laws. Therefore it is not fitting for the king to let them remain. Haman, exploiting his access and intimacy with the king, went in to present his plan. Haman makes two statements here. First, he says there are a people dispersed all over the kingdom with different customs. This is true, and it is not a bad thing. In fact, there were hundreds of peoples like this. The Persians prided themselves on their diversity. They were the melting pot of the Ancient Near East. But secondly, he accuses the Israelites of failing to obey the Kings laws. This was, for the most part, an outright lie. 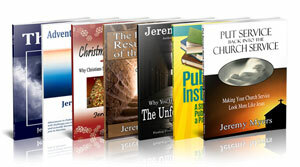 The actions of the Israelites throughout the book are thoroughly law-abiding. Haman says that the solution is to kill all the Israelites throughout the empire. This would include those over in Israel who were trying to rebuild the temple. The king would be better off, Haman says, if they were all exterminated. But note that Haman apparently doesn’t even name the race of the people involved. He continues in Esther 3:9. Esther 3:9. If it pleases the king, let a decree be written that they be destroyed, and I will pay ten thousand talents of silver into the hands of those who do the work, to bring it into the king’s treasuries. Haman, because of his position, had become extremely rich. He offers (maybe we should say bribes?) the king 10,000 talents of silver in order to carry out this extermination. A talent of silver weighs about 90 pounds, so 10,000 talents are around 13 million ounces of silver. At today’s prices, this equals roughly $60 million. Quite an amount! Now Haman of course is not stupid. He knows that when he exterminates the Jews, he will get much more than 10,000 talents of silver to replace what he pays the king. How? In their law system, if you accused someone of a crime, and they were found guilty and were put to death, you got to keep all their land and possessions. Haman knows this, so this is a business venture for him. He is a venture capitalist, looking to make some easy money, along with getting revenge. And we can be sure the king was looking for more money, because he had probably lost a lot of money is his disastrous war campaign against the Greeks in which he lost almost his whole army. Does the king take the bait? You bet he does. Esther 3:10. So the king took his signet ring from his hand and gave it to Haman, the son of Hammedatha the Agagite, the enemy of the Jews. Xerxes, as always, is easily influenced by his officials, and he doesn’t even investigate the accusations. He doesn’t even know his own wife will be involved. This is inexcusable in a leader. Always investigate a matter before passing judgment. Always look into both sides of any issue or debate. And of course, once again, he shows no concern for anyone but himself. He disregards all the people that will be killed and doesn’t even seem to care. By him giving the signet right to Haman, he is basically giving Haman a blank check and saying, “Do whatever you want.” The signet ring, when impressed in clay, made a special imprint, which, like a signature, represented the kings authority. In Esther 3:11, the king continues. The king is basically saying, “If that’s what you want to do with your money, it’s fine with me. If you want to give it to me to pay for this extermination, so be it.”  The military was paid out of the royal treasury, so the 10,000 talents of silver would be used to pay the military. But, both Haman and the King would profit from this as they were going to plunder the Israelites, as we will see in verses 12-13 when they draft the edict. Esther 3:12-13. Then the king’s scribes were called on the thirteenth day of the first month, and a decree was written according to all that Haman commanded, to the king’s satraps, to the governors who were over each province, to the officials of all people, to every province according to its script, and to every people in their language. In the name of King Ahasuerus it was written, and sealed with the king’s signet ring. And the letters were sent by couriers into all the king’s provinces, to destroy, to kill, and to annihilate all the Jews, both young and old, little children and women, in one day, on the thirteenth day of the twelfth month, which is the month of Adar, and to plunder their possessions. The edict is sent out on the thirteenth day of the first month. Ironically, this is the eve of the Passover, which is held on the fourteenth day of the first month, the month of Nisan (Lev 23:4-6). The Passover, you remember, was a holiday for the Jews celebrating when they were delivered from destruction at the hand of the Egyptians. So just as they are celebrating their freedom and deliverance, they receive the news that the government plans to annihilate them. It would be like us receiving news on our Independence day that in one year, the whole nation was going to be sold to China. It would not be happy news. It may be that Haman is trying to get revenge here, because this edict is very close to the command given to King Saul by God in 1 Samuel 15:3 against the Amalekites. God intended to rid the Promised land of sin and idolatry, Haman intends to rid the world of God’s covenant people. Another difference, of course, is that in 1 Samuel 15, the Israelites were not to gain profit from the extermination. Here, as we see at the end of Esther 3:13, the Persians were doing it for profit. Esther 3:14. A copy of the document was to be issued as law in every province, being published for all people, that they should be ready for that day. The decree was dispatched in March of 474 BC. Both sides had almost a year to get ready. We know that the decree went out by pony express, much like ours in the frontier days. There were fresh horses at the end of every day, with the riders often riding through the night. It was very quick and efficient. 3:15. The couriers went out, hastened by the king’s command; and the decree was proclaimed in Shushan the citadel. So the king and Haman sat down to drink, but the city of Shushan was perplexed. The edict bewildered the people of Susa. Apparently such a decree had never come from the royal court before. Haman’s bloodthirstiness along with King Xerxe’s seeming indifference to such atrocities, appeared incredible even to a sophisticated society which was used to cruel behavior. Maybe some of the other minorities were beginning to get worried as well. And so ends Esther 3. The question the people at the time of Esther were asking was, “Where is God?” They were afraid that he had abandoned them and forgotten about them. And now the question become vitally important. God had promised at Mt. Sinai to protect Israel and that He would be at war for them in every generation with their enemies, and especially against the Amalekites (Exod 17:8-16). Those are the questions they were asking. Those are the questions the rest of the story will answer. And when we see the answers, we will learn that God deals with us in similar ways when we face similar trials. If you have ever face a crisis, you may be wondering what God is doing, or if He has forgotten about you. God knows. God sees. He has not forgotten or overlooked you. He will take care of His children.